Our goal is to provide an amazing masterclass from a games industry legend, once a year. 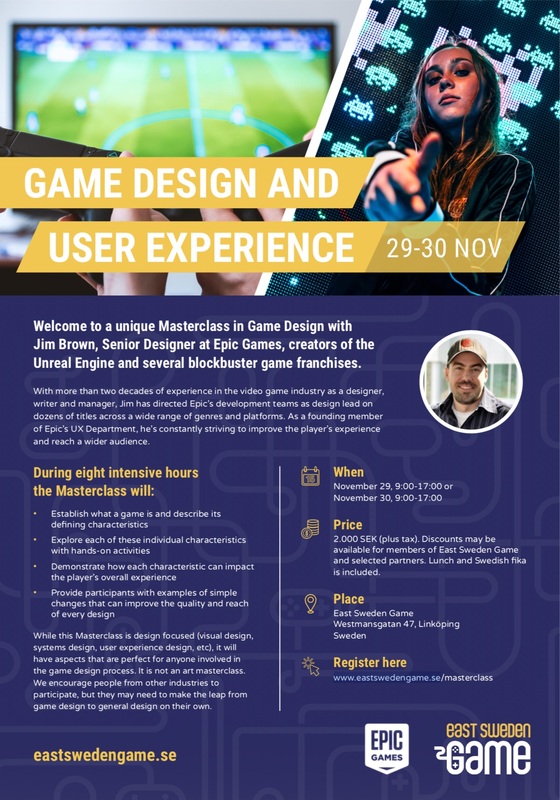 2018 we offered a unique masterclass in game design and user experience with Jim Brown, senior designer at Epic Games. Keep your eyes open for ESG Masterclass 2019!